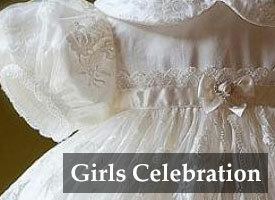 3d applique flower and pearl decoration. 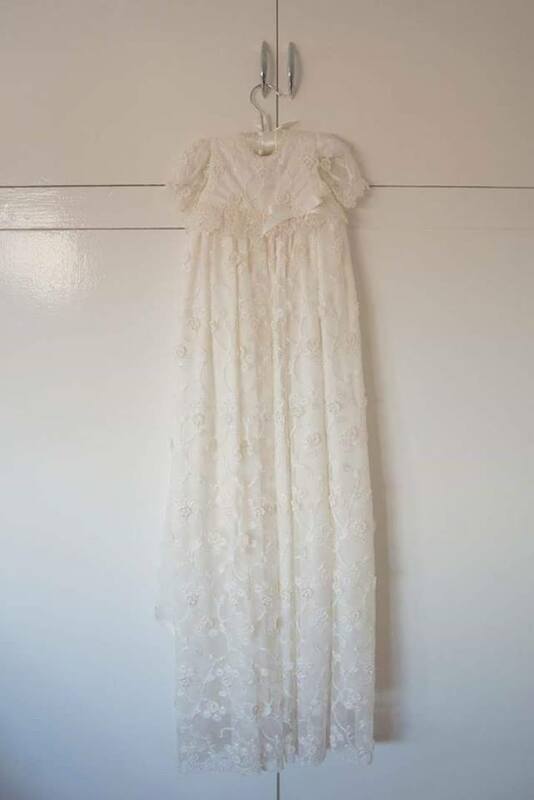 stunning guipure lace at waist, neck & sleeve. 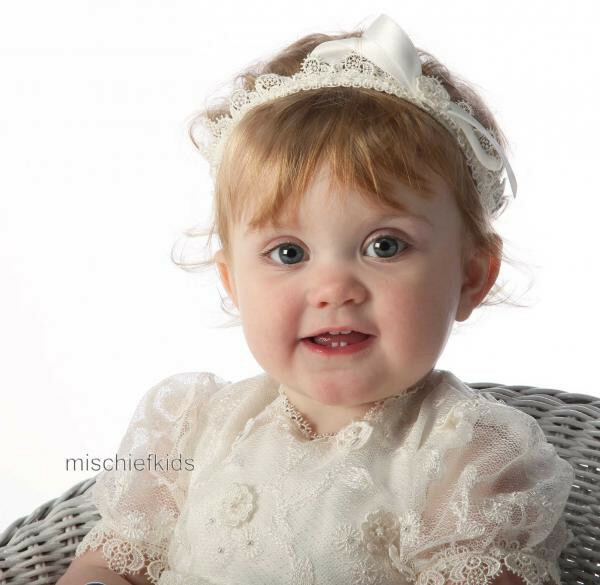 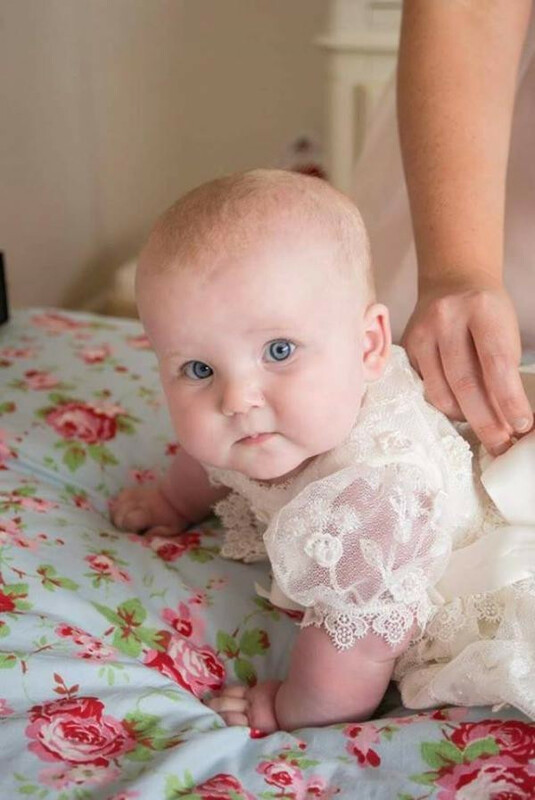 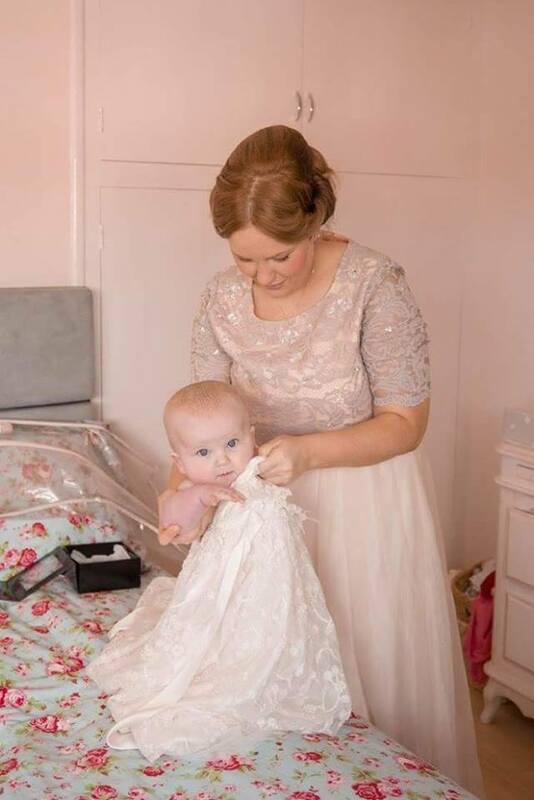 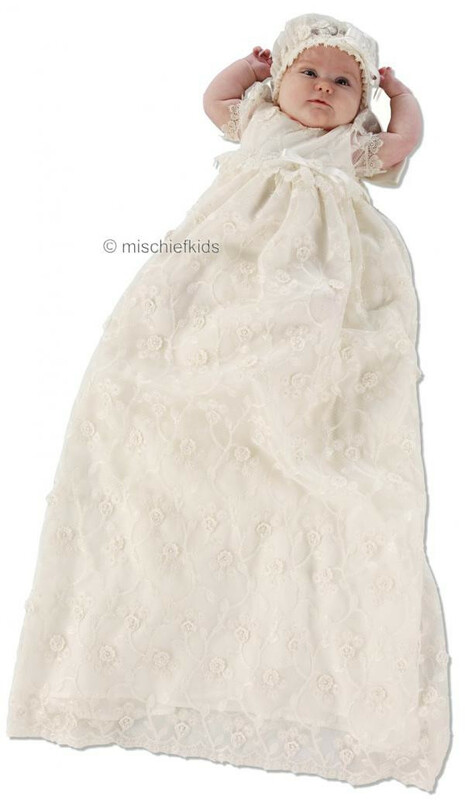 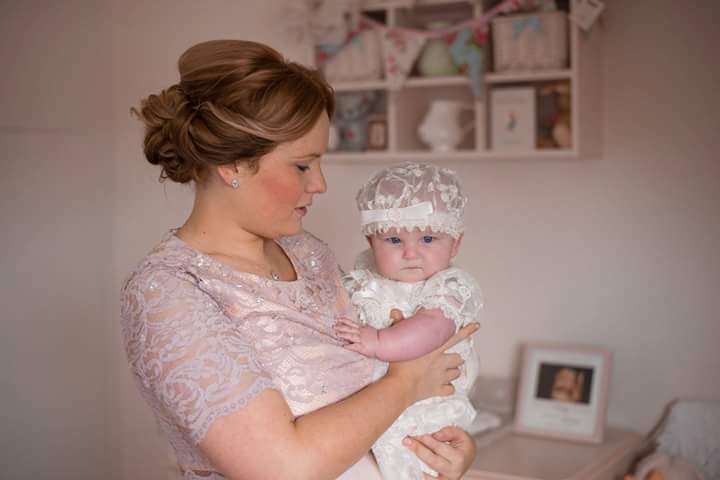 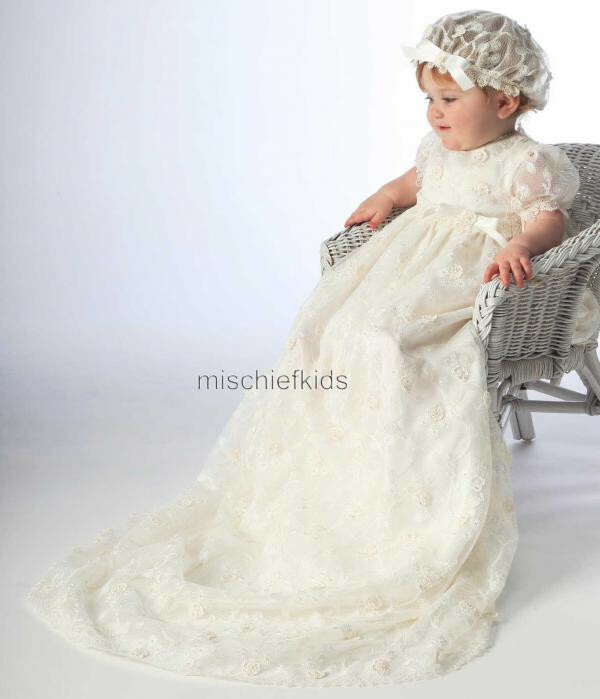 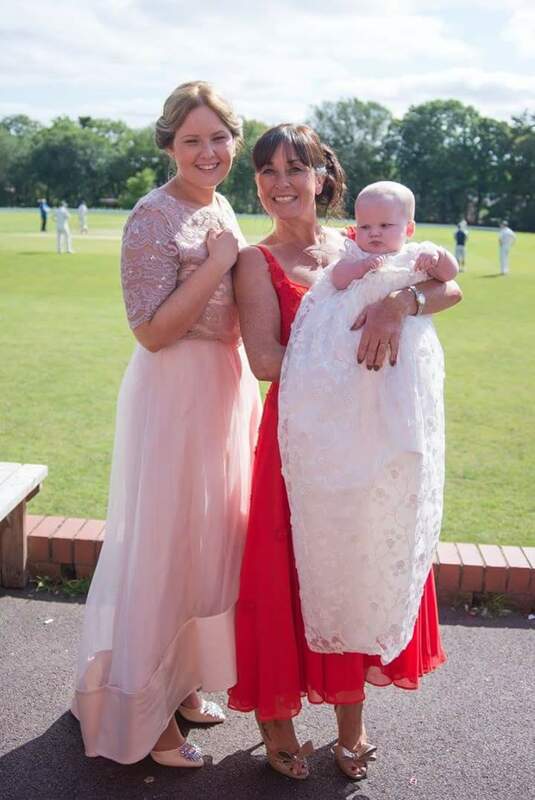 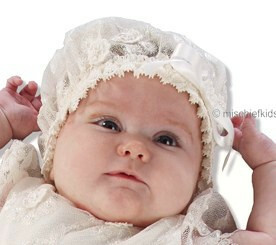 Evelyn is wearing the Little Darlings G9012 Louisa gown in the 3/6 months size in ivory.